AmaWaterways is the proud winner of the 2011 TravelAgeWest "Best Cabin Features and Amenities" WAVE Award. Our three newest ships, the AmaCerto, AmaVerde and AmaBella, continue the tradition of innovative luxury with their uniquely-configured public and private spaces. The ships' groundbreaking feature is our exclusive Twin Balcony Stateroom. This imaginative design is available on most staterooms, and consists of a French Balcony plus a separate Outside Balcony for private enjoyment. Relax and enjoy a drink or your morning coffee from your full-size outside balcony; or simply slide open your French Balcony to marvel at the passing scenery. Our Twin Balconies offer the best of all possible worlds. 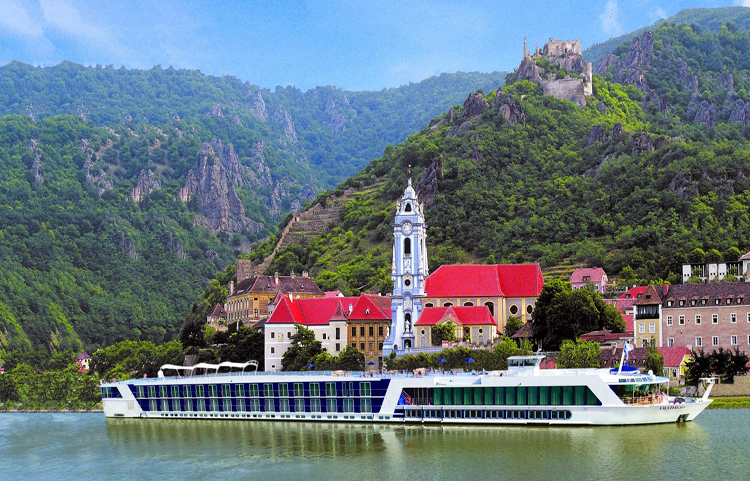 When you travel with AmaWaterways, you do more than simply visit a destination - you experience it in a truly authentic and in-depth way. It begins with a champagne welcome as you step aboard and meet our courteous crew and your fellow passengers, many of whom you will consider friends by the end of your journey. You will also meet a personable and knowledgeable Cruise Manager who will be with you every step of the way, even on your optional pre-cruise or post-cruise land program. It is this attention to detail that distinguishes AmaWaterways from all the rest and keeps our satisfied guests coming back again and again. We thoughtfully plan our itineraries to maximize your enjoyment of the scenery, history and atmosphere of your chosen destination. Marvel at the ever-changing views through the panoramic windows in your ship's Main Lounge or from our expansive outdoor decks. Visit famous landmarks and explore "hidden gemsTaste bold new flavors and delicious regional specialties, with menus designed by our revered team of classically-trained chefs. And every evening, there is onboard entertainment provided by local musicians and performers to enjoy. Rest assured you will have ample time for socializing and relaxation, too. Our ships feature comfortable lounges, lively bar areas, swimming pools or whirlpools, salons and fitness rooms. At the end of the day, you will be pampered with turn-down service, plush linens, and peace and quiet for a good night's sleep. Tomorrow, there is more to see and experience! 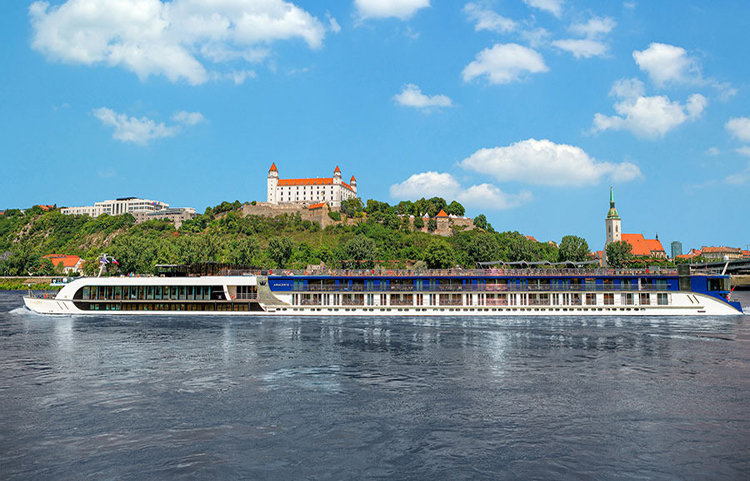 One of AmaWaterways' groundbreaking innovations is our exclusive Twin Balcony Stateroom. The Twin Balconies consist of a French Balcony plus a separate Outside Balcony for the private enjoyment of your river cruise experience. Twin Balcony Staterooms are available on select vessels cruising in Europe. In-room furnishings include white-on-white plush down bedding, a cozy sitting area, flat-panel TV, hair dryer, safe, terry bathrobes, slippers, individually controlled air-conditioning, ample closet space and bottled water replenished daily on all of our European ships. Your spacious bathroom features a shower with multi-jet shower heads, spa bath and body toiletries and a magnifying mirror.